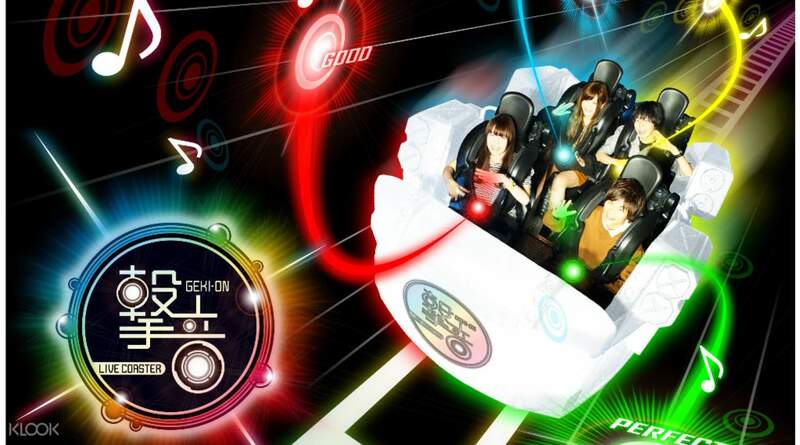 Enjoy the rides in the largest indoor theme park in Japan with a Tokyo Joypolis Passport! Experience virtual reality rides, a video-enhanced half pipe ride, an indoor roller coaster, realistic simulators and more! This passport gives you unlimited readmission to the park during the day, so take the time to explore Odaiba! Get up to 25% off and save up to JPY700 by booking the Madame Tussauds Tokyo Ticket and Tokyo Joypolis Passport Combo! Try thrilling theme park rides and amazing attractions and games all in Japan’s biggest indoor theme park found in Odaiba, Tokyo. With the Tokyo Joypolis Passport, you’ll gain unlimited access in and out of the park and you’ll be able to try the myriad of rides and games within the park. Test your courage in the Resident Evil-themed BIOHAZARD, and go on an adventure through the jungle with the Wild Jungle Brothers. Feel like being a detective? See the Phoenix Wright Ace game! Brave an action packed 360-degree ride in Transformers Human-Alliance special and go on a futuristic bobsled ride in Storm G! Because you have unlimited entries in and out of the park for the day, you can go out and explore the rest of Odaiba or go shopping and head back as you please. There’s something for everyone of all ages at this indoor theme park in Tokyo. 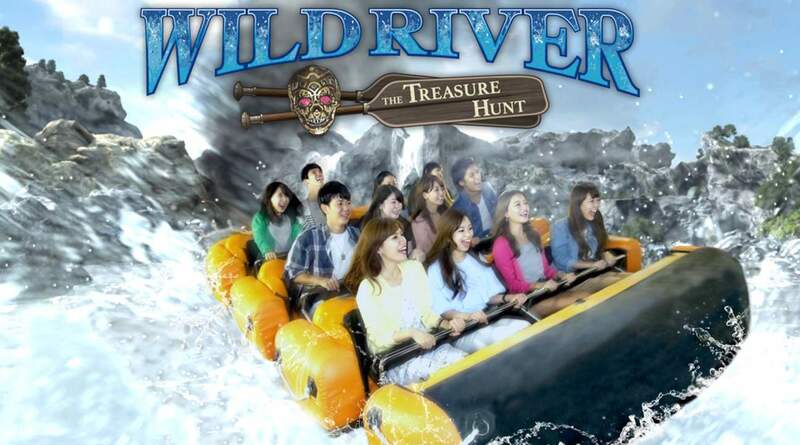 Try the spills and thrills of the Wild River ride! 3D rides and adventures await you, with so many attractions to choose from! Fun experiences at the indoor theme park. Has collaboration events often if that's your thing. great for a half day worth of fun, and you have the rest of Odaiba to check out! 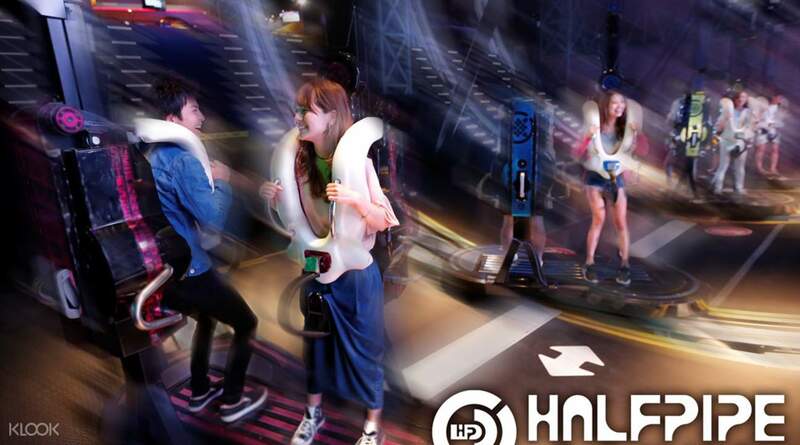 Fun experiences at the indoor theme park. Has collaboration events often if that's your thing. great for a half day worth of fun, and you have the rest of Odaiba to check out! Best arcade ever. Lots of turns and twists and fun! Be there early to have shorter queues. Really a memorable experience. Odaiba is a pretty good place too! Best arcade ever. Lots of turns and twists and fun! Be there early to have shorter queues. Really a memorable experience. Odaiba is a pretty good place too! Joypolis was a great stop on our trip. Even though it was a bit outdated, it was a lot of fun and very interesting. Curmudgeon types/those not interested in games or being open to enjoying something that’s ~not in English~ will not find it worth exploring. The price was well-worth it for a passport, as each ride would cost ¥600 each on top of an admission fee (and the Klook voucher was cheaper than what was listed at the venue!!). It was a last minute decision to spend time in there, so we bought 2 passports right there in the mall lobby and waited for the voucher to hit my account — we had the passports in hand within one minute! We went in the afternoon and it was rather empty. The longest we waited for a ride was maybe ten minutes, due to a ride maintenance check. The cafe food was lackluster, but it had an incredible panoramic view of Rainbow Bridge. We were amazed by the staff — they were all friendly, helpful, and really got into the roles of each of the rides. Favorite rides: half-pipe, the room of the living dolls, Transformers, and the Tokyo Ghoul show. Joypolis was a great stop on our trip. Even though it was a bit outdated, it was a lot of fun and very interesting. Curmudgeon types/those not interested in games or being open to enjoying something that’s ~not in English~ will not find it worth exploring. The price was well-worth it for a passport, as each ride would cost ¥600 each on top of an admission fee (and the Klook voucher was cheaper than what was listed at the venue!!). It was a last minute decision to spend time in there, so we bought 2 passports right there in the mall lobby and waited for the voucher to hit my account — we had the passports in hand within one minute! We went in the afternoon and it was rather empty. The longest we waited for a ride was maybe ten minutes, due to a ride maintenance check. The cafe food was lackluster, but it had an incredible panoramic view of Rainbow Bridge. We were amazed by the staff — they were all friendly, helpful, and really got into the roles of each of the rides. Favorite rides: half-pipe, the room of the living dolls, Transformers, and the Tokyo Ghoul show. Getting tickets from klook is a very good alternative of worrying for choiced tickets plus tix are discounted. Getting tickets from klook is a very good alternative of worrying for choiced tickets plus tix are discounted. Spent the whole day at Joypolis. Great attractions. Great discount. Thank you very much, KLOOK!!! Spent the whole day at Joypolis. Great attractions. Great discount. Thank you very much, KLOOK!!! Good experience with it. A lot of games. You can experience many kind of VR games. Good experience with it. A lot of games. You can experience many kind of VR games. If you want to see how hi-tech Japan is, worth visiting Joypolis. Situated at my favorite part of Tokyo, Odaiba, Joypolis passport gives you access to almost all the rides and activities. I personally loved the VR tournament and the transformers ride. I wished we devoted more time in this place. 3 hours was not enough with all the things we can do inside. I recommend staying there for the whole day and really just enjoy. 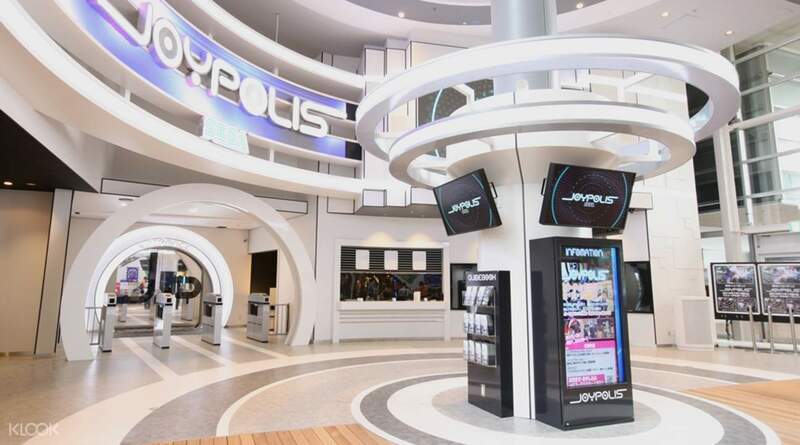 If you want to see how hi-tech Japan is, worth visiting Joypolis. Situated at my favorite part of Tokyo, Odaiba, Joypolis passport gives you access to almost all the rides and activities. I personally loved the VR tournament and the transformers ride. I wished we devoted more time in this place. 3 hours was not enough with all the things we can do inside. I recommend staying there for the whole day and really just enjoy. Bought this last minute at the entrance of Joypolis, less than 5 minutes the booking voucher was sent to me and was able to exchange tickets smoothly. I used credits as such price is cheaper compared to buying their tourist promo ticket. Very fast and hassle free, definitely recommend getting from klook! Bought this last minute at the entrance of Joypolis, less than 5 minutes the booking voucher was sent to me and was able to exchange tickets smoothly. I used credits as such price is cheaper compared to buying their tourist promo ticket. Very fast and hassle free, definitely recommend getting from klook!